BRETTLYN Neal is better known as the Beaver, with hairs on her legs so sharp they could "spear a rat". 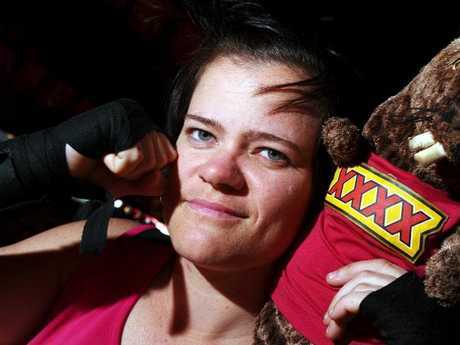 The pro-boxer lives in Townsville but spends the majority of her time travelling the Australian outback. She has been in the ring 200 times since she started fighting in 2010. It's a hobby that's now transformed in to a lucrative career for the single 33-year-old. Ms Neal said her on-the-road job brought in about $65,000 a year, which she said was more than enough to facilitate her unique lifestyle. Often camping under the stars, or staying at a friend's house, Ms Neal usually cooks for herself rather than place an order with Deliveroo or UberEats. It's a decision she said saves her money every month. "People live outside their means," Ms Neal said. "Do you actually need the flashiest car when a car half the price still gets you from A to B?" Brettlyn ‘Beaver’ Neal says her $65,000 income is more than enough to facilitate her lifestyle. Ms Neal is taking part in news.com.au's new money series,Cash Confessions, where we ask Australians how much they earn and track how they spend that money over the period of a month. She is an athlete with the Fred Brophy Boxing Troupe, which travels the country and allows everyday punters to go up against pro-boxers. 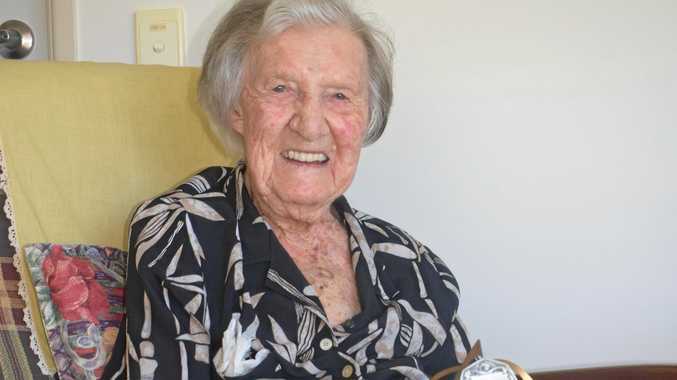 Ms Neal spends most of her year frequenting outback communities and so, when it comes to spending her income, very little goes on what the majority of Australians would consider necessities. "I spend $110 a month on rent, which is kind of just a storage fee," she said. "A friend of mine needed furniture when she broke up with her husband, so she uses my furniture and I alway have a bed to sleep in when I'm in Townsville. It's a win-win really. "For electricity, I spend around $100 a month. I chip in and help out wherever I may be at the time. "My grocery spend fluctuates depending on where I am at the time. Some communities can be expensive, so it's anywhere between $200 and $600 a month." Brettlyn ‘Beaver’ Neal also works to help children in remote communities. As for treating herself, Ms Neal said she can only spend a small amount on alcohol because she is often working in dry communities, and almost nothing on conventional entertainment. "On alcohol I would spend no more than $100 a month," she said. "My entertainment is being out on the land or water. Take fishing for instance. It's only the cost for petrol for the boat. Catch your bait, catch your fish then eat it for dinner. Use the scraps to catch mud crabs and then you're eating like a queen. "I have educated myself on a lot of practical things like building, welding and even making a video." Because she does roam around the countryside, Ms Neal will fork out $99 a month on her mobile plan - which, according to the Australian Securities and Investments Commission, is $30 more than the Australian average. By not having a fixed address, which she acknowledges is a unique lifestyle situation, she is able to have more control on her expenses. With no access to Netflix, Stan or Foxtel subscriptions, Ms Neal is able to stretch her salary further each month. "I have a low cost of living because I spend money on what I need rather than what I want," she said. "I love cooking, so I will only pay $50 max each month on takeaway. And then between $20-$50 a month on coffee. "With clothing, I will spend $50-$200. I spend most of my money on travel and helping others. "My entertainment is my work. Sometimes I will go to the movies, but I'd much prefer to entertain my friends by cooking for them, going out fishing or going to places like Birdsville. "It is lucky to have bosses that understand what makes me tick, so I work and save, then travel to help others through boxing." Brettlyn ‘Beaver’ Neal takes her sport very seriously, and makes $65,000 each year doing what she loves. Ms Neal is the only female boxer within the Fred Brophy Boxing Troupe. 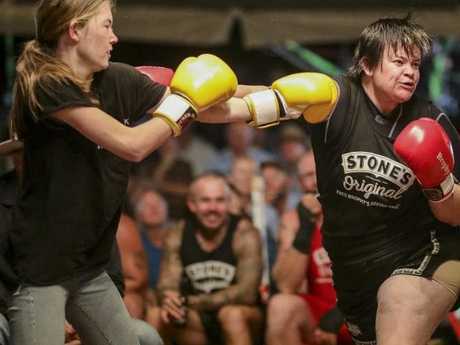 Female hopefuls can go head-to-head with the pro-boxer in three one-minute bouts. 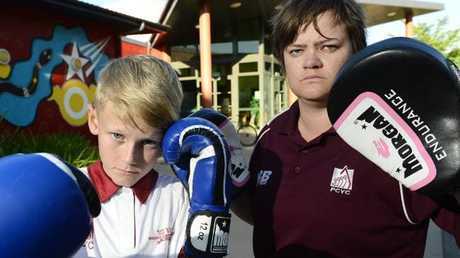 "I originally got in to boxing after playing Rugby League for Australia and Rugby Union for England, and I wanted to test myself in an individual sport, so I chose boxing," Ms Neal said. 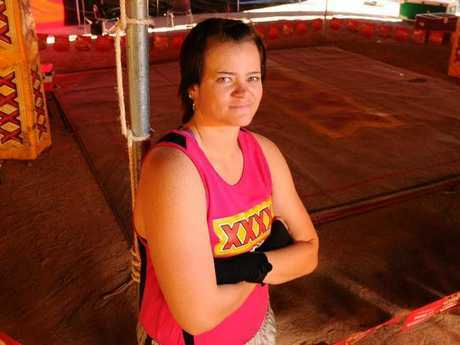 "But to get in to [Fred Brophy's] boxing tent, I was working at a pub in Birdsville and I fought against the tent and I beat them, so I have been fighting for him ever since." Ms Neal said while her situation was unique, she made her 'low income' wages work by living within her means, and even spent her money on others rather than herself. 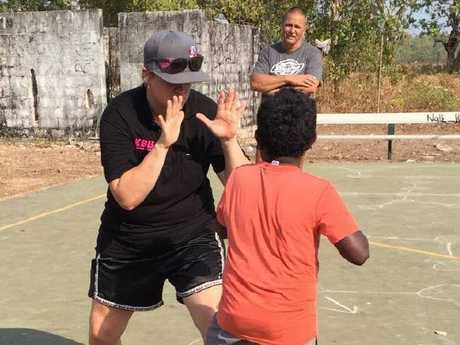 As a director for Australian Social Engagement & Wellbeing Academy, outside boxing Ms Neal focuses her time on helping disadvantaged children in remote parts of the country, using fitness as a way of educating participants on topics such as nutrition, drugs and alcohol awareness, domestic violence and encouraging healthy relationships. Brettlyn would rather spend her time helping others in the community than spending money on herself. "When I am away and not working with the tent, I travel a lot," she said. "I was given an opportunity by Fred [Brophy] to travel with the tent and I have been fighting for a long time now. This allows me to go to some of the most beautiful parts of Australia where I can work in some of the most remote communities. "I teach boxing and use it as an engagement tool and to help get kids back into school and I also teach health and fitness. The money I make from Brophy's goes directly towards the work I do in communities. "Boxing is about discipline. If you can't turn up to a training session, how can you turn up to a job?" Ms Neal said she applied this skill to managing her finances.